Which shielding gas should be used for welding aluminium? When welding aluminium using the Gas Tungsten Arc Welding (GTAW) - also known as Tungsten Inert Gas (TIG) - process we would use welding grade argon. The suggested shielding gas flow rate would be 8 litres per minute. 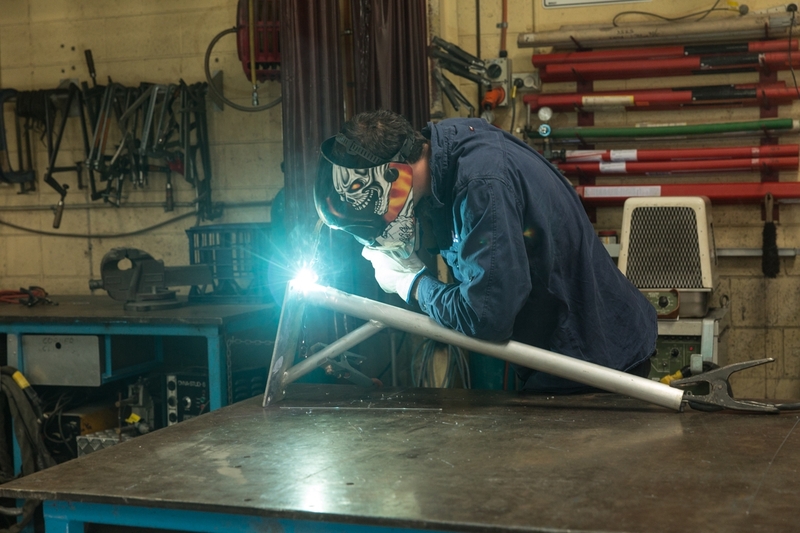 When using the Gas Metal Arc Welding (GMAW) - also known as Metal Inert Gas (MIG) - process we would also recommend argon, but with a suggested shielding gas flow rate of 16 litres per minute. For both welding processes for more critical applications, argon-helium mixtures can be used to advantage. A rise in helium content gives a wider flatter weld leading to increased travel speeds. With the addition of helium, the suggested shielding gas flow rate would be 20 plus litres per minute, as helium is lighter than air.